The Program - Portuguese Flagship ProgramPortuguese Flagship Program | The mission of UGA’s Portuguese Flagship Program (PFP) is to graduate students, through innovative language education, with Superior level proficiency in Portuguese and overseas internship experience, to create the next generation of global professionals. 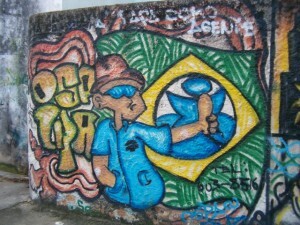 Do you want to study and intern in Brazil? Get on board the Flagship! Click here to watch our program video and see why you should be a part of the Portuguese Flagship program at UGA. UGA Flagship students enjoying an excursion to Santo Antônio de Lisboa while studying abroad in Florianópolis. The Fifth Cohort is in Brazil for their Capstone Year. The fifth cohort of PFP students arrived in Brazil in February, 2017 for their Capstone Year. the Overseas Program consists of intensive Portuguese instruction and university coursework at UFSJ (Universidade Federal de São João del-Rei), an internship in a field related to each student’s major and professional interests, and immersion in Brazil’s multicultural and vibrant culture. In this increasingly global economy, learning a new language can boost your chances at landing a lucrative job. Watch here why Portuguese is one of the best languages for you to learn. The University of Georgia’s unique Portuguese Flagship Program has received approximately $3 million to continue for another 4 years. Portuguese immersion for eight weeks in the beautiful Brazilian island/city of Florianópolis. Intensive Portuguese Academics: this program is FLAS eligible. Cultural Activities in Florianópolis and Excursions to Balneário Camboriú, Blumenau and Itajai River, and Serra Catarinense. Service learning component and much more. UFSJ – The Federal University of São João del-Rei welcomes our Portuguese Flagship Students. The Dean of International Affairs of UFSJ, Dr. Liliane de Assis Sade, together with former UFSJ President, Dr. Valeria Kemp, and the Overseas team of faculty and staff welcome new PFP students. Click on this video to learn more. Portuguese Flagship Students have the opportunity to intern in a variety of organization located in Brazil such as Pricewaterhouse Coopers, Moodys, Imagem Corporativa, Deutsche Bank, Instituto Sou da PAZ, and others. These internship opportunities provide students with hands-on experience in their field of study and potential future work environments. Every PFP student makes a formal presentation about their internship experience at the end of their Capstone year in Brazil. The Third Cohort is back from their Capstone Year in Brazil. The third cohort of PFP students arrived in Brazil in February 2015, and returned from their Capstone Year in December 2015. After studying at UFSJ (Universidade Federal de São João del-Rei), each of the fourteen members of this cohort participated in a challenging and customized internship in cities such as São Paulo, Rio de Janeiro, Brasilia, and Blumenau. Learn more about the Program from the students’ perspective at the 2013 Final Capstone Meeting in Serra do Cipó – Minas Gerais. 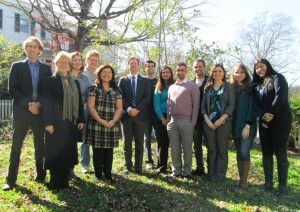 The Portuguese Flagship Program (PFP) at the University of Georgia is the first and only of its kind. Intended for UGA undergraduate students with a unique commitment to reach the highest levels of Portuguese and apply those skills in a professional context, the PFP offers an unprecedented opportunity for motivated students to internationalize their academic experience. For many it will also serve as a stepping-stone into an international career. More than a study abroad program, the PFP is structured to complement the student’s major area of study from the moment he or she arrives at UGA. 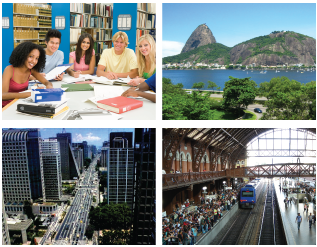 Participating students also benefit from accelerated classes, regular group or one-on-one tutorials, Skype partners in Brazil, rich cultural events, support for immersion experiences both in the US and abroad, and a capstone year studying at UFSJ – a leading Brazilian university – and completing a semester long internship in Brazil. Throughout their four years of study, PFP students strive to achieve superior proficiency in Portuguese and gain insight into how this skill and body of knowledge will create future opportunities. We encourage you to browse the site and contact us, or just visit us at the PFP office. 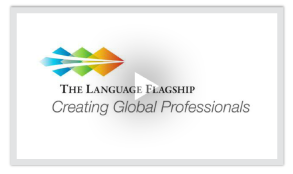 The Language Flagship is a national initiative to change the way Americans learn foreign languages. Offering cutting-edge programs for U.S. undergraduates in critical languages, including Portuguese, The Language Flagship is dedicated to creating the next generation of global professionals. Watch this video for a better idea of why The Language Flagship is breaking the mold. The UGA Portuguese Flagship Program is funded by The Language Flagship, a public/private partnership sponsored by the National Security Education Program. Portuguese Flagship Students come from a wide variety of backgrounds. Each are working towards unique professional goals that are greatly enhanced by fluency in Portuguese. Learn more about our students here. Portuguese is currently the 7th most widely spoken language in the world. Also, the rapid growth of the Brazilian economy (now the 6th largest worldwide) is causing a surge in the demand for Portuguese speakers. 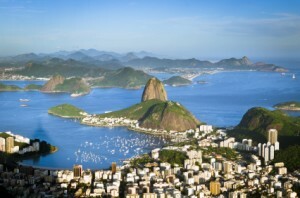 Home of the 2014 World Cup and the 2016 Olympics (in Rio de Janeiro), Brazil is on the rise, as is the Portuguese language. From Europe to Africa, Asia to North America – with large Lusophone communities in the US and Canada – knowledge of Portuguese has never been more important. Graduates from Flagship centers are highly sought after in both the public and private sector, and gain a competitive edge when applying for jobs, graduate school, and scholarships. 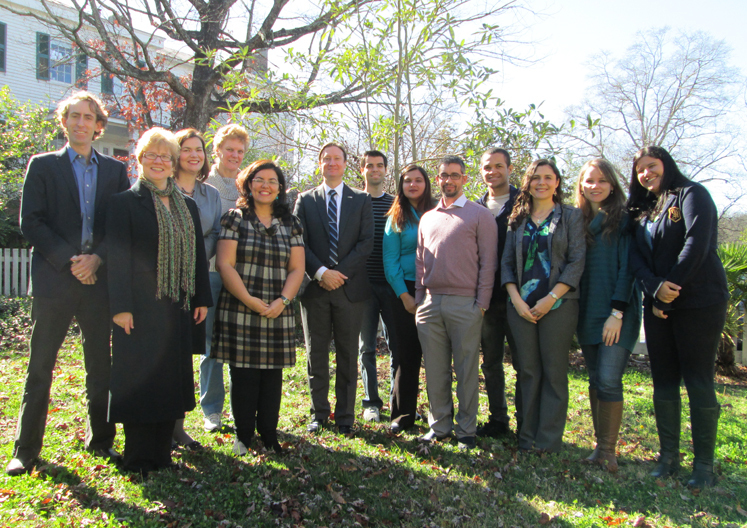 The Portuguese Flagship Program is accepting applications now from UGA undergradate students. 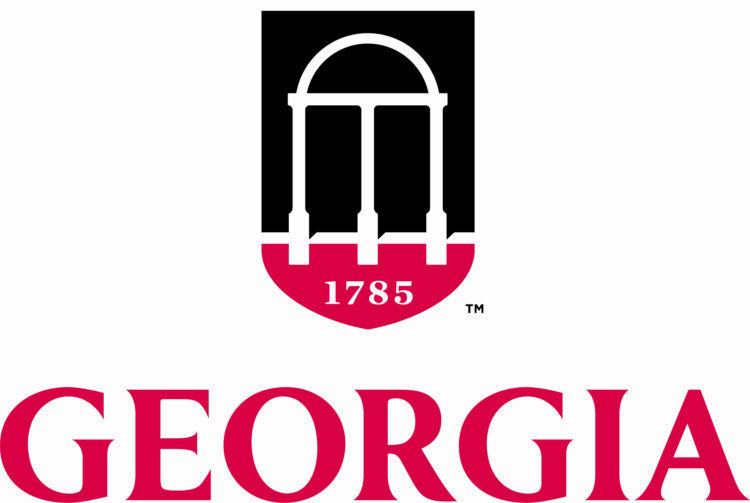 Full-time undergraduate student admitted to UGA. Commitment to working towards a Superior level of Portuguese (ACTFL tested) upon completion of program. U.S. citizen or permanent resident, to be eligible for possible federal funding. In collaboration with The Language Flagship and UFSJ (Federal University of Sao Joao del Rey - Minas Gerais), the mission of UGA’s Portuguese Flagship Program (PFP) is to graduate students, through innovative language education, with Superior level proficiency in Portuguese and overseas internship experience, to create the next generation of global professionals.